When using iPhone to its potential, you may encounter meeting the 3 terms of iPhone modes: DFU mode, Recovery mode, and Safe mode. You may get confused by those modes sometimes. Today we would like to help you clarify iPhone DFU mode VS Recovery mode VS Safe mode. To help you better understand the differences between the 3 iPhone modes, we'd like to specify them in 3 aspects: what these modes are, when to use them, and how to use them. 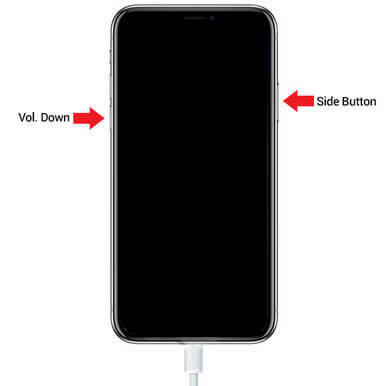 iPhone DFU Mode: DFU mode (the abbreviation of Device Firmware Update mode) is a mode that allows you to make very low level modifications to the software running on iPhone. When your iPhone is in DFU mode, the device is powered on but hasn't yet booted up the operating system. Therefore, you can make changes to the OS. Here is the picture of the iPhone DFU Mode. iPhone Recovery Mode: Recovery Mode, which is also called restore mode, is a means of getting iPhone to interface with the iTunes on your PC or Mac. In this mode, you can restore your iPhone, but only with the latest available iOS and firmware. It will delete all contents on your iPhone and you device will start all over again like a new one. Therefore, you'd better backup your data before you try this mode. If you have no backup files and lost data, try iPhone Data Recovery to help you recover all lost data from iPhone. Here is the screenshot of iPhone Recovery Mode. iPhone Safe Mode: Like Windows OS or Mac OS X which has a "Safe Mode", iPhone also has a Safe Mode to remove corrupted processes. To be exact, Safe Mode on iPhone is a part of jailbreaking. If your iPhone is jailbroken, Safe Mode will be invoked when MobileSubstrate crashes. Photo of iPhone Safe Mode is showed below. When an update to a newer version has damaged your iPhone or made your apps work improperly, you may need to downgrade the firmware or version of the iOS, and then you need to enter the DFU mode. When you want to jailbreak your iPhone, you also need to put iPhone into DFU Mode. When you have installed an iOS update and your iPhone gets stuck in restart loops. When your iPhone got stuck in white Apple logo screen of death. 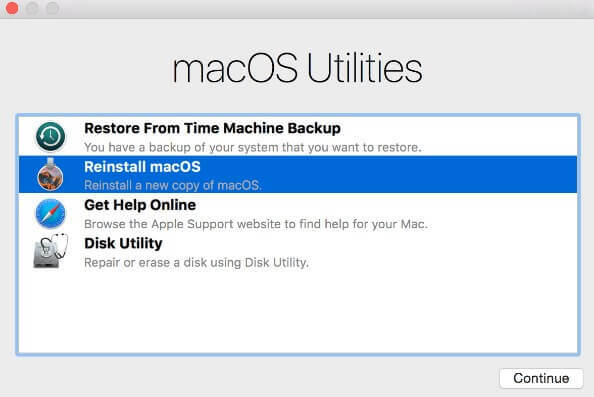 When you want to restore iPhone from backup but iTunes didn't register iPhone when you connect it to your computer. A jailbroken iPhone will boot into Safe Mode whenever a jailbreak extension is causing iOS not to work properly. For example, when a newly installed jailbreak tweak tampered with root files that could cause your build of iOS to be corrupted, MobileSubstrate will invoke Sate Mode to protect you from harmful processes running on your iPhone. When you encounter the dilemmas showed as above, you may need to use one of the 3 iPhone modes. Since they are different in definition as well as the circumstances of when to use, the methods to enter each of them are surely disparate (same with the ways to exit). I also want to recommend Any iOS System Repair (ReiBoot) to you, which is a professional and easy-to-use program to enter and exit recovery mode. Since we have the special article to introduce how to access and exit iPhone DFU Mode, Recovery Mode and Safe Mode, you can refer to it. Here we would not specify each of them. If you have any questions about this topic, don't hesitate to consult with us.